Disposing of a well-used vacuum cleaner may be easy as putting it out with the trash or loading it into your car and hauling it to a recycling center or charity. Unlike computers, televisions and other electronics, vacuum cleaners are mostly metal and plastic, so their materials are nearly 100 percent recyclable. A vintage vacuum cleaner may be a collectable item. Depending on your local waste management agency or garbage company's regulations, a broken vacuum cleaner may be set next to the garbage can with a sign saying "trash" or "free/works." It's best to set out the trash and the vacuum cleaner as early as possible the day before pickup. This almost guarantees that the vacuum cleaner disappears within hours, picked up by a metal collector or neighbor who can fix it. The local waste management agency may provide a drop-off location for appliances and electronics, including vacuum cleaners. With proof of residence, you can drop the vacuum cleaner off for recycling or disposal. It may be free, or there may be a small charge. If the vacuum cleaner still runs, though, the nearest thrift store is usually happy to take it off your hands and give you a receipt for a charitable donation. Community groups may have additional ways of disposing of vacuums. Dumpsters bought into urban neighborhoods encourage the disposal of nonworking appliances, including vacuums. You can also list a vacuum online for free, noting whether it works or not. 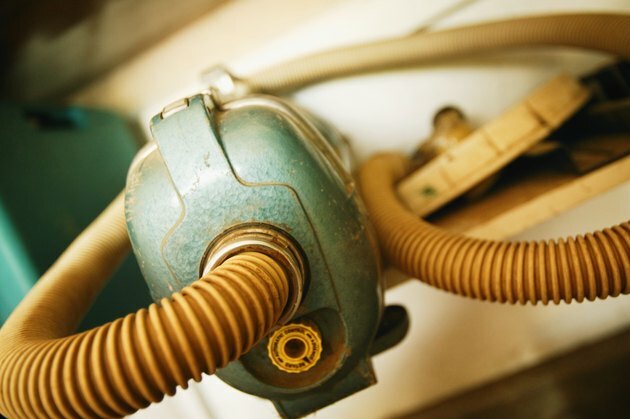 A valuable vintage vacuum may be worth selling online, in total or for parts.